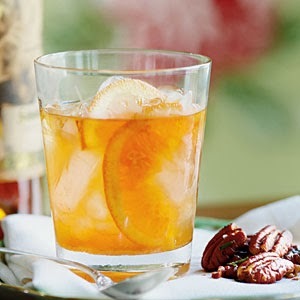 Julian Van Winkle, president of the legendary Old Rip Van Winkle Distillery in Frankfort, Kentucky, shares his go-to cocktail - the Old Fashioned - that's a great addition to the traditional Mint Julep on Derby day. The Old Rip Van Winkle Distillery has a four generation history but their bourbons are special for another important reason, their recipe. All of the Van Winkle bourbons are made with corn, wheat, and, barley instead of corn, rye and, barley. This "wheated" recipe gives the bourbon a much softer, smoother taste and it also allows the whiskey to age more gracefully. Place brown sugar cubes on a cocktail napkin. Transfer cubes to a 10-oz. old-fashioned glass. Add orange slice and a few drops bourbon to glass. Add 1 1/2 to 2 oz. bourbon, and fill glass with ice cubes. I love the Derby! 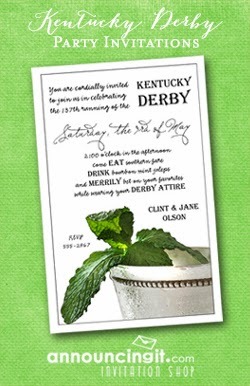 In passing, I told my husband I'd love to go the the Derby when it was on my birthday (yes, I'm a Taurus). 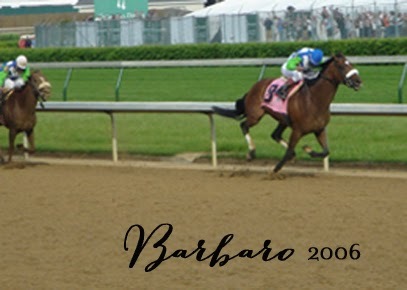 He actually remembered and surprised me with a trip in 2006, the year Barbaro won. 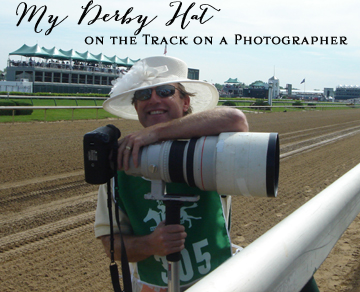 We had fabulous tickets on the rail, I had a fabulous hat that made it onto the track on the head of a photographer and into the newspaper, and we have wonderful memories of our time at the Derby.